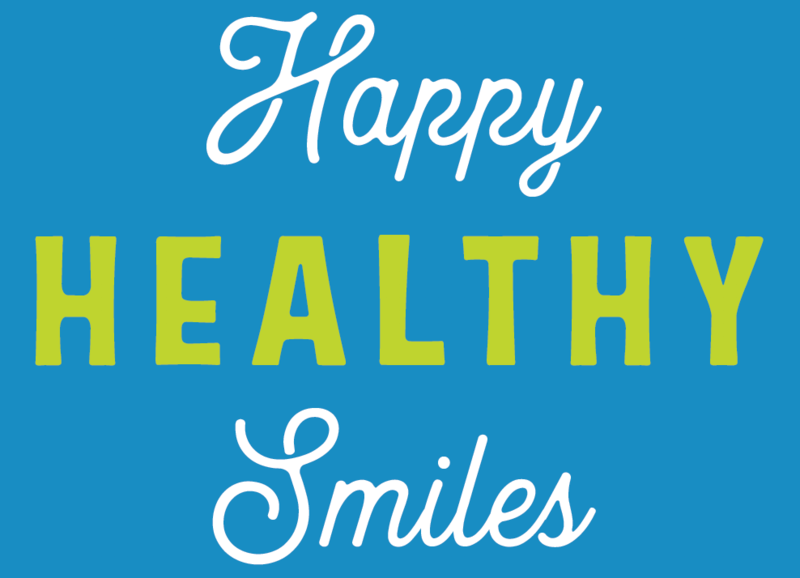 Dr. Kimberly has been creating happy, healthy smiles for over 10 years. 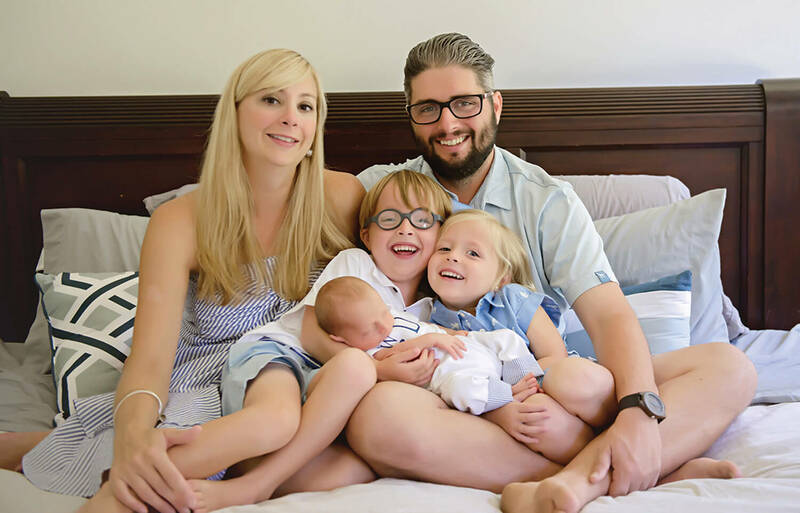 Since earning her Doctor of Medicine in Dentistry, she has focused on helping children and their parents have fun, anxiety free visits to the dentist. Dr. Kimberly is a member of the American Dental Association, American Academy of Pediatric Dentistry, and is credentialed at Trident Surgery Center to perform dental treatment. 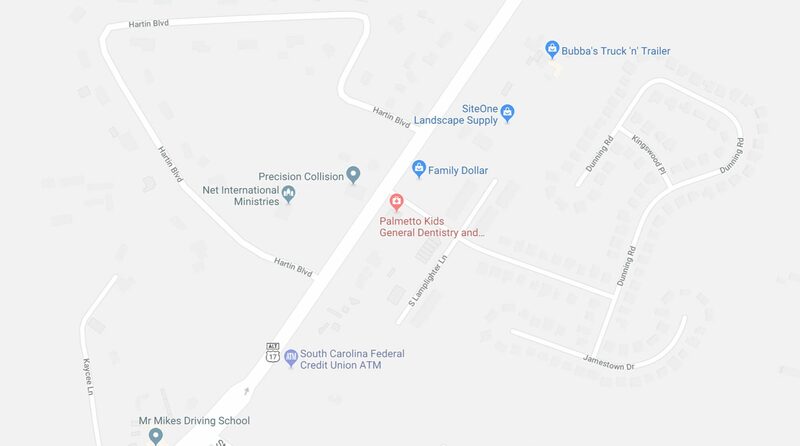 Palmetto Kids Dentistry makes going to the dentist fun. From reading nooks and play spaces in the waiting area to special seating so you can accompany your child, our entire kid-friendly space is designed to make your young ones comfortable with the dental experience. Did you know half of American children get cavities? 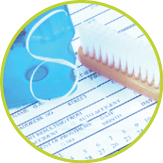 One of the best ways to prevent tooth decay and gum disease is diligent homecare—twice-a-day brushing, flossing and a healthy diet—supplemented by professional dental exams and cleanings every six months. Dr. Kimberly Duffey is a seasoned general dentist who knows just how to make the experience pleasant and comfortable for children of all ages. Laser Dentistry can be a precise and effective way to perform many dental procedures. We offer soft tissue laser treatments that eliminate the need for sutures(stitches) and only use minimal to no anesthesia. We can fix gummy smiles by reshaping the gum tissue around the teeth and also treat children with tongue tie. Our laser can also help bleach your teeth in just one appointment. While most dental procedures in children can be completed with local anesthesia, sometimes sedation is a better choice. To help make treatment more pleasant and painless for both you and your child, we offer treatment with nitrous oxide “laughing gas” and in-office conscious sedation for fearful or restless patients. And in some cases—particularly if your child is young and will be undergoing extensive dental procedures like multiple fillings, crowns or extractions—Dr. Duffey offers outpatient surgery at Trident Surgery Center. Dental sealants keep food from being trapped in pits and grooves that can be difficult to reach with a toothbrush. This “invisible protector” seals out cavity-causing bacteria and is one of the most effective ways to prevent tooth decay and set up kids for a lifetime of healthy smiles. If your child has tooth decay, there is good news. Today’s options for fillings and crowns are more comfortable and attractive than ever. Dr. Kimberly Duffey will determine the best option based on your child’s age and condition. 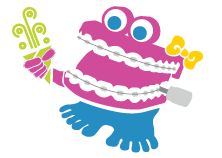 If your infant is missing baby teeth or loses one prematurely, he or she will need a space maintainer. This device keeps the space open so permanent teeth won’t tilt toward the empty space and come in crooked. Sports mouth guards are a necessity if your child is playing sports. 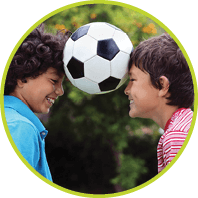 We do not want your child to damage his/her teeth and a sports guard can help! It is a soft protective device that cover the top teeth and gums to prevent injury. We can make your child a custom guard in the office. My name is Dr. Kimberly. I’ve treated many dental patients over the years-students, special needs adults, even soldiers. In my years of practicing general dentistry, I was always drawn to children and teenagers. That’s why I decided to open a Summerville practice especially for them. Palmetto Kids Dentistry is designed to be a fun, pleasant experience for both you and your children. As a mom, I know first-hand how challenging it can be to get toddlers comfortable with toothbrushes and kids ok with dental exams. I’m here to help so that together we can ensure your child will enjoy a lifetime of healthy teeth and beautiful smiles. Our Palmetto Kids team is excited to welcome you into our family. We strive to make your visit fun and informative while providing excellent care for you and your child. Under 24 Months? Free Screening! Many parents wait until the preschool years to bring children to the dentist. But baby teeth are vulnerable to decay, especially among children who frequently drink from bottles. And the health of your infant’s mouth is a precursor to strong teeth through the elementary years and into adulthood. The American Dental Association recommends babies visit the dentist by age one, and we do, too. The sooner your child becomes comfortable with the dentist, the more likely he or she will enjoy a lifetime of cavity-free teeth and healthy gums. That’s why we provide a free screening for new patients under two. 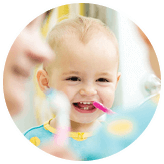 Your child will get to know Dr. Kimberly in a comfortable setting, and we’ll give you one-on-one tips on how to effectively care for your pre-toddler’s teeth and gums. Please call 843.284.6497 or fill out the form below to schedule your appointment. To save time in our waiting room, we encourage you to download, fill out and bring in the patient forms (coming soon!) listed on this page.